The day we got my car home my father and I tried to start the engine. 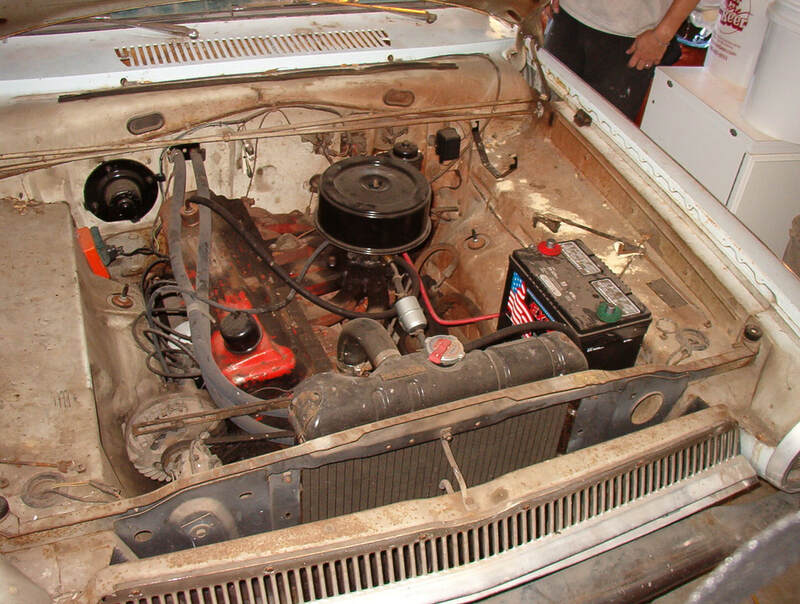 With a fresh battery and diligent use of starting spray we could get the engine to barely fire up but it was very rough and would not stay running. So the first couple months were spent trying to determine why the engine would not run. As it turns out, 20+ years of sitting with no attention causes oil to solidify. 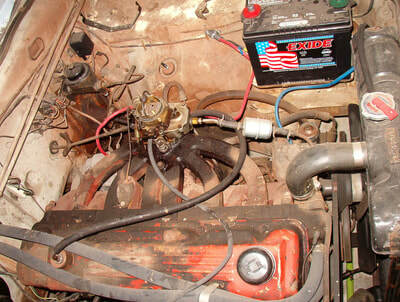 When we popped the valve cover off we found solid sludge, bent push-rods and stuck lifters. When we took the head off we got our first good news, all cylinders still had factory cross-hatch. We had the head overhauled by a professional who ended up replacing every valve spring. He also installed new hardened valve seats. We cleaned as much sludge as we could from the engine. We dropped the oil pan and scraped it with putty knives and even cleaned the rocker arm shaft using a 12 ga shotgun wire cleaning brush and ram rod along with mineral spirits. We also got a carburetor rebuild kit and I did my best to rebuild the original Carter BBS single barrel carburetor the engine came with. I was 13 at the time and this was the first automotive carburetor I ever rebuilt. We reassembled with brand new lifters, push-rods, oil and oil filter, and the engine actually ran! But not great...turns out my original Carter BBS was badly warped like most are, so it would have to be replaced. We were however able to run the engine long enough to cycle good fresh oil through the engine and work loose as much sludge as possible. We drained the oil after about 30 minutes of run time and got straight black oil. We repeated this process about 3-4 more times with new oil and filter each time and we were finally rewarded with clean oil coming out. Unfortunately no pictures exist of the time we spent tearing the engine down, cleaning it and rebuilding it.